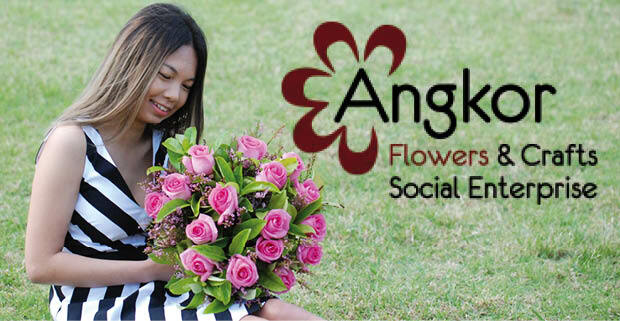 Angkor Flowers is a social enterprise employing women from migrant and refugee backgrounds with a low level of education and access to employment opportunities. In order to give these women hope and help them blossom into more fulfilling and independent lives, founder and Managing Director Sophea Chea began Angkor Flowers. Angkor Flowers offers migrant and refugee women free training courses so they learn how to create beautiful floral arrangements. The course is designed to boost their confidence, giving them a sense of belonging and skills to assist in gaining employment. Training is funded by the ClubGRANTs program, and St Johns Park Bowling Club assists this wonderful business by using the services of Ankgor Flowers whenever possible, as well as promoting this amazing business in the community. The ladies from Angkor Flowers use flower arrangements and craft products as tools of pleasure and creativity as well as financial sustainability. They specialise in designing various floral, hampers and craft products for individuals, small businesses and corporations, and Government organisations. Next time you send flowers, make this kind gesture twofold and order from http://www.angkorflowers.com.au or call 02 8866 0131 … help our local refugee women bloom.